The video for this is found on another thread. But I thought I would make a new edius thread for this due to the specific technical information it provides. Yesterday I went to one of the local malls with digital cinema projection to preview the ad I made for digital projection. 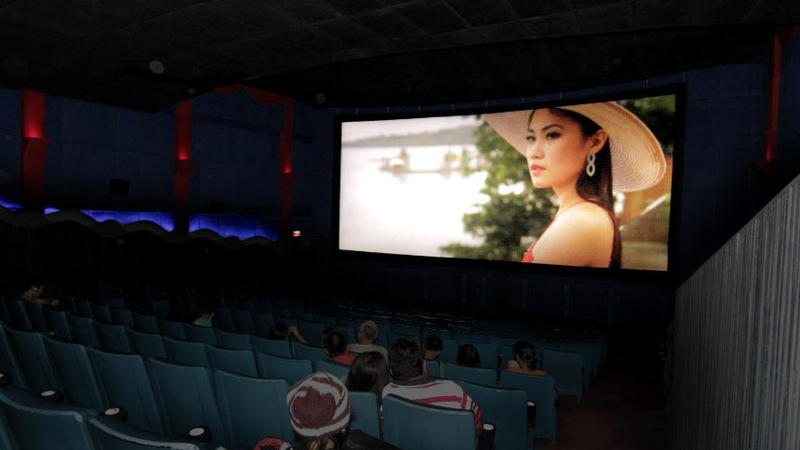 This is digital 3D capable cinema with an 11.5 x 5.5 meter screen(38.5 x 18 ft). EDIUS output sequential TIFF files to preserve quality then separately output a single 48khz wav file. This was from a 1080 23.97P timeline. I edited using a SPARK card output to a 32in LCD monitor during the grading process. Grading was 95 percent done in EDIUS. I sent the resulting 7 gig file to the digital cinema provider to convert the files into a file compliant for ingest in the projection server. I was told they are JPEG2000 files. Which particular ones I wasnt told. I still have to check the file in the server. Edius can hold its own against the rest of the pack.